This whole “two games in a week” thing is for the birds. Can we go back to having 3 or 4 games in a week? 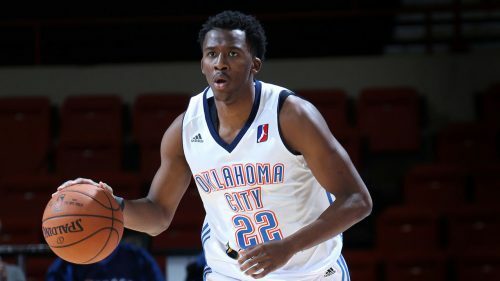 On Saturday, the Oklahoma City Thunder signed guard Semaj Christon. The 2014 2nd rounder played last season with Consultinvest VL Pesaro of Lega Basket Serie A, the top professional league in Italy. 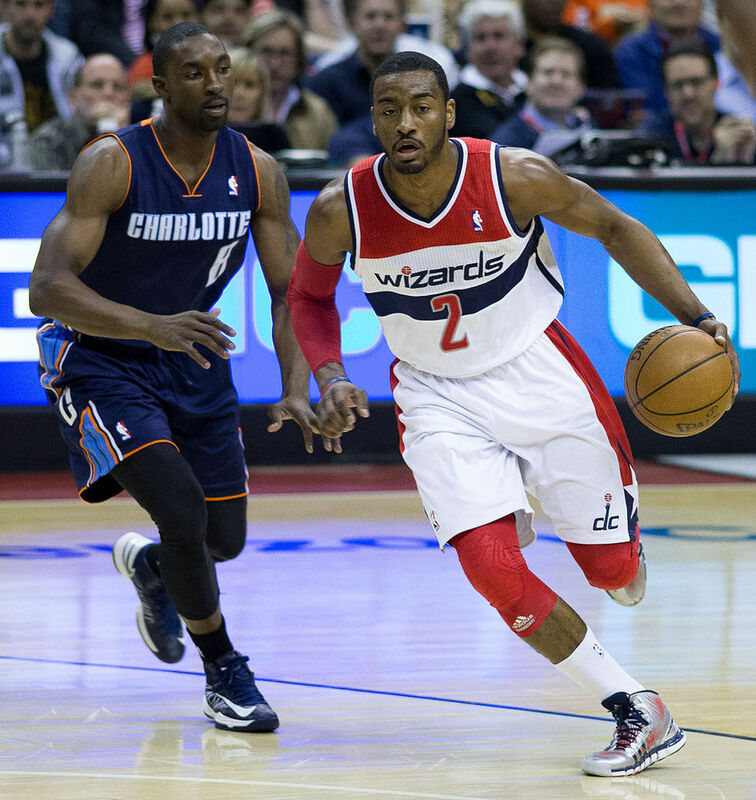 While there, he averaged 14.3 points, 3.7 assists, 3.3 rebounds, and 1.6 steals in 33.2 minutes of playing time. 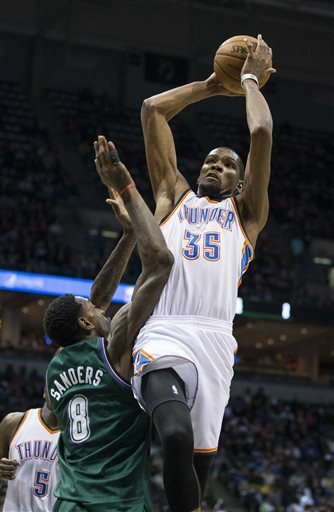 Previous to that, he spent his first two professional seasons with the Thunder’s D-League affiliate, the Blue. 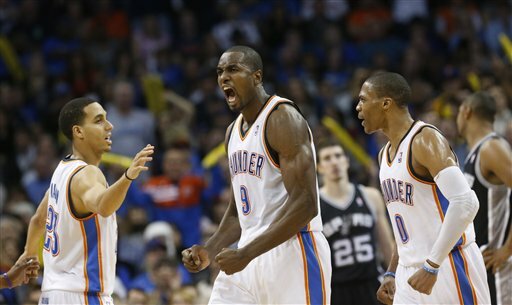 In addition, he has also been a member of the Thunder’s summer league team the last three seasons. The 6’3″ point guard out of Xavier has shown a penchant for getting into the lane and causing havoc once he gets there. His sturdy frame and long arms allow him to finish in traffic, while his floor game allows him to find teammates for higher percentage shots. His jumper, while not the best, has improved over the past 3 seasons to the point where he has a pretty solid mid-range game. With the signing of Ronnie Price earlier this offseason, the Thunder’s roster currently sits at 15 guaranteed contracts, with 3 of those contracts belonging to point guards (Russell Westbrook, Cameron Payne, and Price). So why did the Thunder sign Christon, if their roster is already at max capacity with contracts and points guards? The reasoning for that could be two-fold. 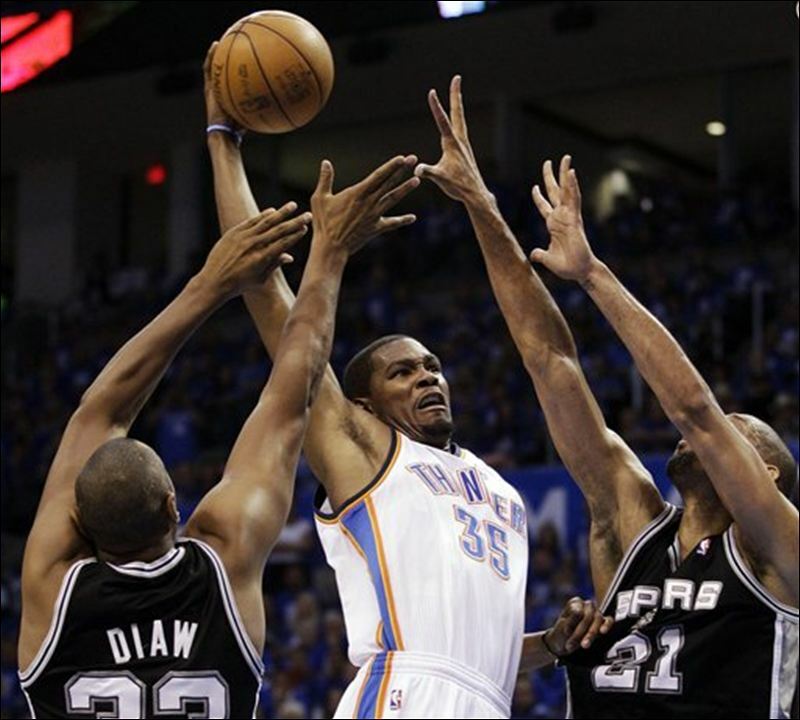 Number one, the Thunder don’t appear to be done wheeling and dealing. The roster, as it currently stands, is a weird mixture of bruising big men, offensively challenged wings, and athletic guards who aren’t great at shooting. They have a sizable expiring contract in Ersan Ilyasova, and a young big they may be ready to move on from in Mitch McGary. If the right deal comes along, they could also feature Payne, who could net something substantial from a point guard starved team. The second reason for signing Christon is to play the long game with him. While his contract can’t be guaranteed because of the Thunder’s 15 other commitments, there could be guaranteed money attached to it if he gets waived before the season starts. Then the Thunder could sign Christon to the Blue and see how the season plays out in terms of roster moves. If the trade deadline leaves the Thunder with an open roster spot, you can almost guarantee that spot will go to Christon. Another issue that is clouding the water in terms of Christon’s future is whether Price’s 2nd year is fully guaranteed. If anything, the Thunder have secured themselves another weapon to throw at guard happy teams, while maintaining roster flexibility. Christon’s strength and wing-span could make him an asset on the defensive end of the floor, similar to what the Thunder saw from Dion Waiters in the playoffs last season. And while Christon’s offensive repertoire may not necessarily be what the Thunder need, it’s not like he’s offensively challenged. In the end, his contract is not currently guaranteed, and the Thunder have time to see how everything plays out in these next two months before the season starts. The final regular season mission has been completed. While we didn’t obtain home court advantage throughout the playoffs, we did earn home court advantage throughout the Western Conference playoffs. This accomplishment has earned us the right to treat the final regular season game like a preseason game. Limited minutes for the regulars and heavy minutes for the young guys at the end of the bench. Other than a feather in the cap, the Milwaukee Buck have nothing to gain by winning this game, either. I wouldn’t be surprised if their regulars got plenty of rest also. The game may turn into something similar to a D-League All-Star game with all the young guys out there. Reggie Jackson, Jeremy Lamb, Perry Jones III, Daniel Orton, and DeAndre Liggins may give a glimpse to what the Thunder bench may look like next season. 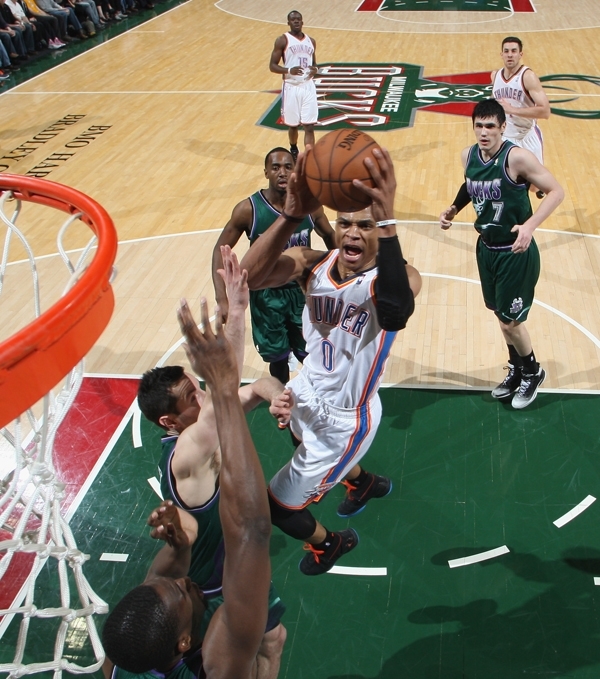 The Thunder won the last meeting against the Bucks using a 19-2 run in the 4th quarter to erase a 5 point deficit. Fun note: If Carmelo Anthony sits out the New York Knicks’ final game as expected, Kevin Durant would need to score 70 points to win the scoring title. 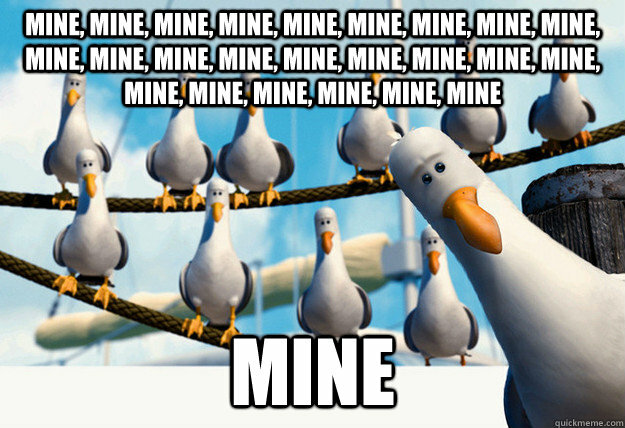 While this type of selfishness is not indicative of Durant’s character and team first approach, this wouldn’t be the first time that a guy of Durant’s moral ilk goes all Finding Nemo seagulls (Mine!Mine!Mine!) on an opponent to win a scoring title. Hall of Famer David Robinson of the San Antonio Spurs scored 71 points on the final day of the 1993-94 season to capture the scoring title from Shaquille O’Neal. 1. Come out of the game healthy – Some of the guys on the team are already suffering from, what I like to call, grind of the season injuries. Kendrick Perkins is suffering from a strained hamstring, Kevin Martin is suffering from a sore back, and Derek Fisher is suffering from a sore foot. Whatever the outcome of this game is, I don’t want to add anymore names to that list. 2. 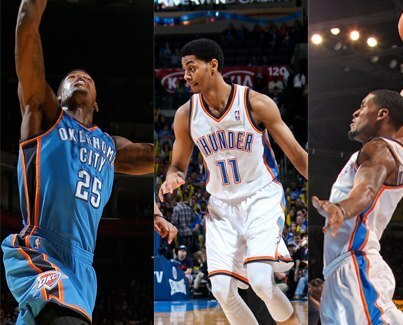 Preview of next season’s bench mob – There should be plenty of time to go around for the Thunder’s D-League All-Stars. Jeremy Lamb, Perry Jones III, Reggie Jackson, DeAndre Liggins, and Daniel Orton should all get substantial minutes in this game. I fully expect a poster dunk from Jones III in this game. 3. Appreciate this regular season – This has been one of the most trying, but also, one of the most rewarding seasons in the Thunder’s history. To lose one of your main components in a core-shattering trade 4 days before the first game of the season had to weigh heavily on the returning group of players who were itching to get back to the NBA Finals for redemption. But they adapted, learned, and improved to the point where they had their best regular season since they became the Thunder, and got the No. 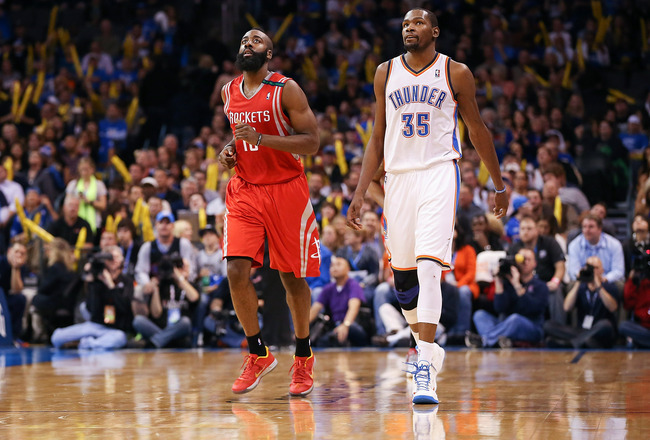 1 seed in the Western Conference, to boot. Thunder Up, indeed!